Sedans are the easily recognizable cars long before there were SUVs, AUVs and many others. Nowadays, huge cars now fill the needs of families when it comes to space and durability. 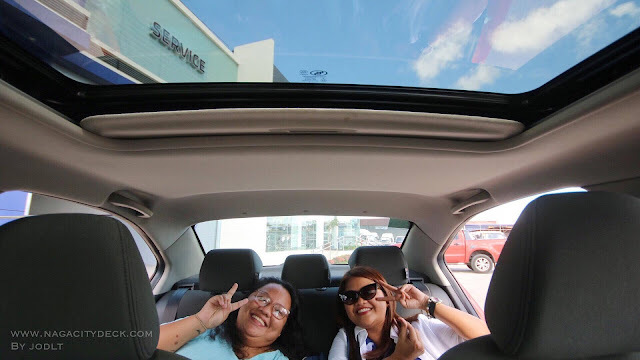 It's now a challenge for many automakers in making sedans as stylish as ever that will still fit the budget of an average-earning Filipino. Not everyone can afford SUVs and here in the Philippines there has been an explosion of sales when it comes to small sedans. Pili has stepped up a notch when it comes to car showrooms here in Bicol. 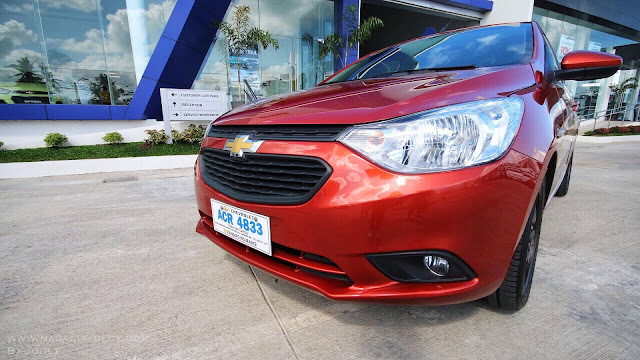 Chevrolet CamSur in Brgy. 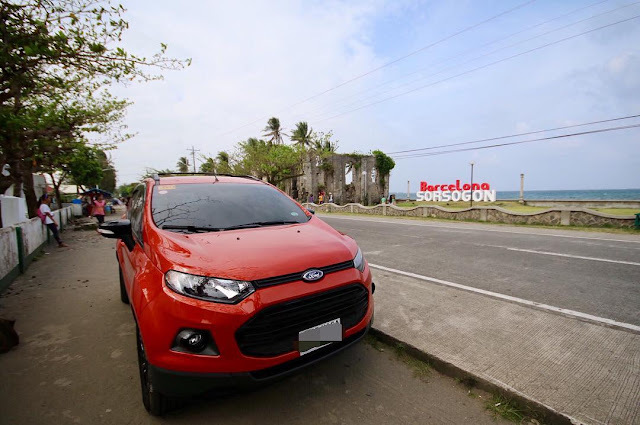 San Jose recently had their grand opening sharing to Bicol another American automaker after Ford in Del Rosario, Naga City. First feat that I really appreciated is the rear view reverse camera. Most often than not, SUVs have the reverse camera for obvious reasons. So, the Sail having a reverse cam is definitely a plus for this sedan. 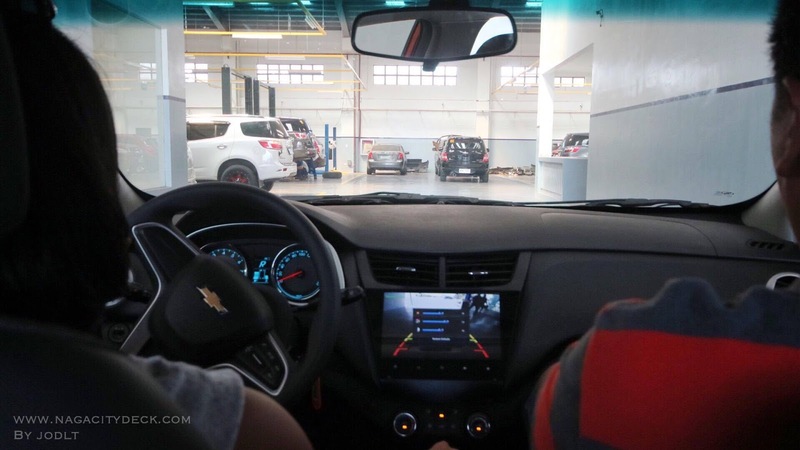 All you need to do now is to focus on the 9-inch touch screen, android-powered infotainment system right in the middle of your dashboard. The Sail may not have a fancy dashboard and exquisite cabin design, but everything you need is there and of course very functional. 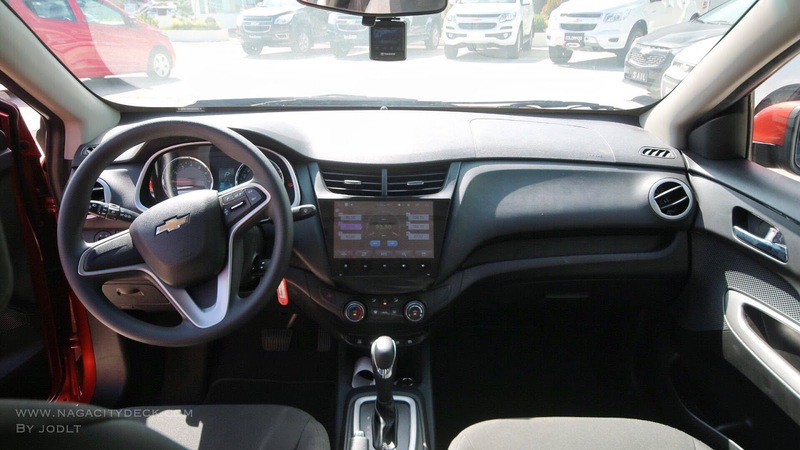 The top of the line LTZ variant has the standard USB port, center cup holder, steering wheel radio control and Bluetooth Handsfree. Second would be the 9-inch touchscreen Android-powered Infotainment System with 16GB head unit and Mobile connect with Google Voice Search ready for your travels. 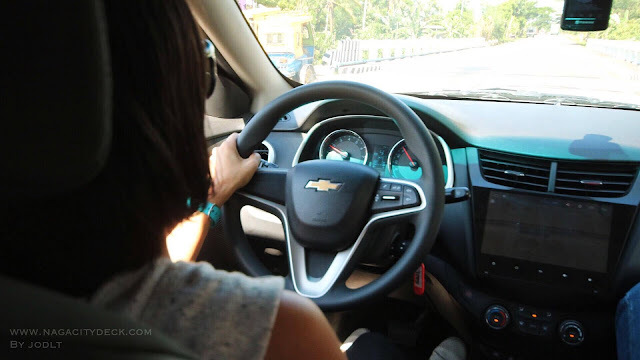 For one year you'll get to experience built-in navigational system (Waze) on the unit and have the option to renew it after a year. And oh it also includes Spotify and Google Play Store already. Take note, it's not on your phone but it's on your unit. What's also more exciting is that it has a phone mirroring capability, so even if your are using an iPhone, yes, it can also mirror what's on your phone, amazing right?! Just don't forget that we are not allowed to use the device when you're on the road because ADDA is in effect. If you are the person who plainly listens to music (or news) without having too much consideration about the quality, then the Sail is for you. 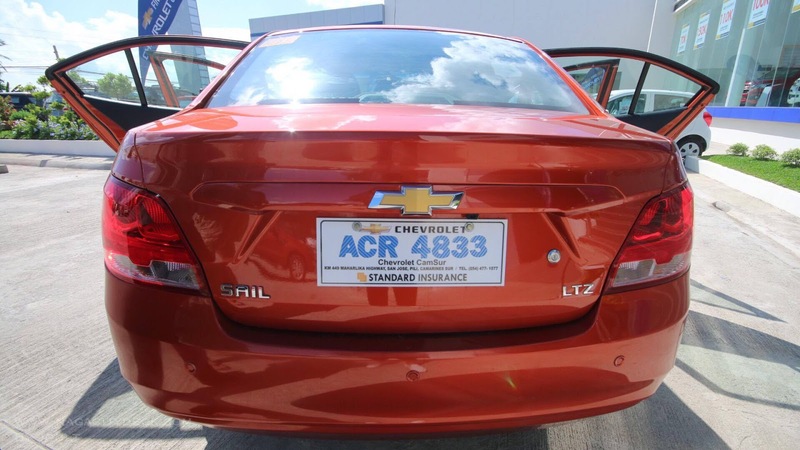 The LTZ variant has 4 speakers same with the 1.5L AT LT and only 2 speakers for the 1.3L MT LT.
Chevy's are known for space and we mean tons of space. 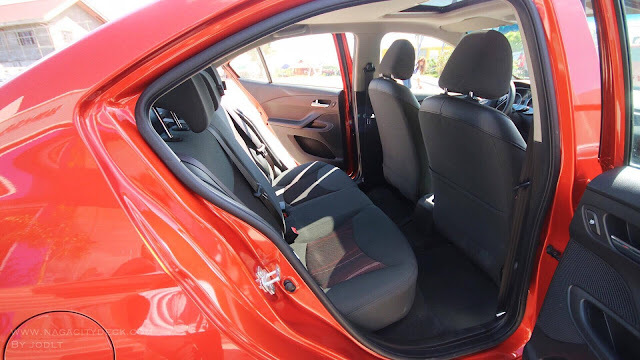 Third feat would be the ample head and legroom both in the front and at the back for your passengers. and umbrella (fully extended) for visualization. Fourth feat would be the inbuilt sunroof with slide and tilt function. 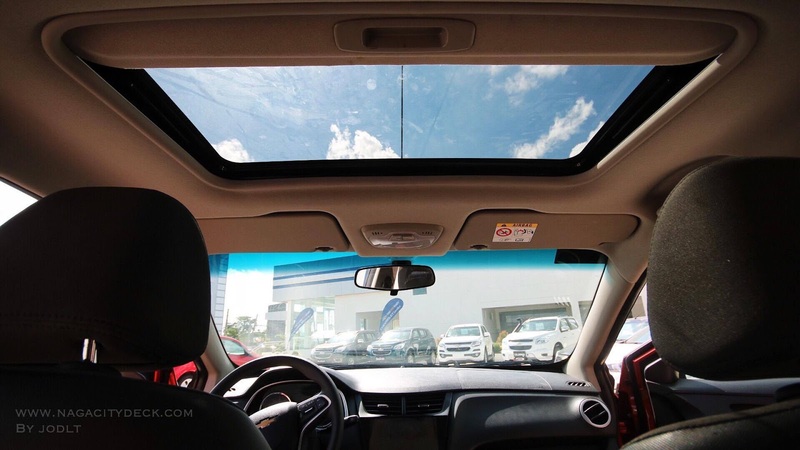 I'm a self-confessed fan of sunroofs! You can tilt it to disperse hot air within the cabin or slide to let fresh air and light in. Perfect for your countryside road trips. Plus, it's a better angle when taking pictures or videos instead of doing it on your windows. 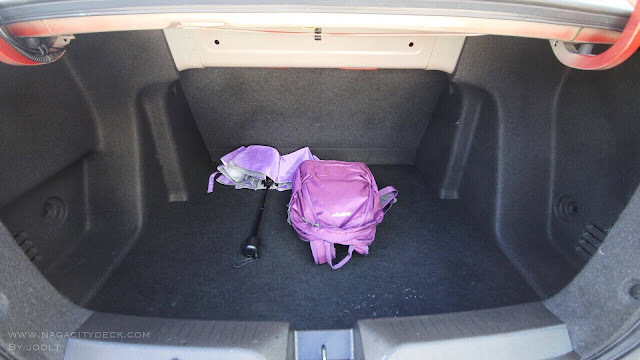 Most of the time, sedans are used for daily transport so it's also important what's under the hood. 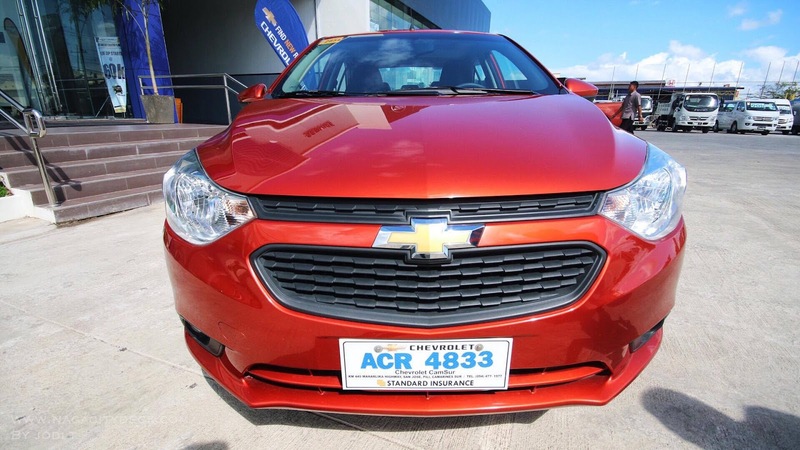 Engine-wise the 1.5L AT LTZ has responsive transmission with Active Select manual mode for the times requiring complete driver control. 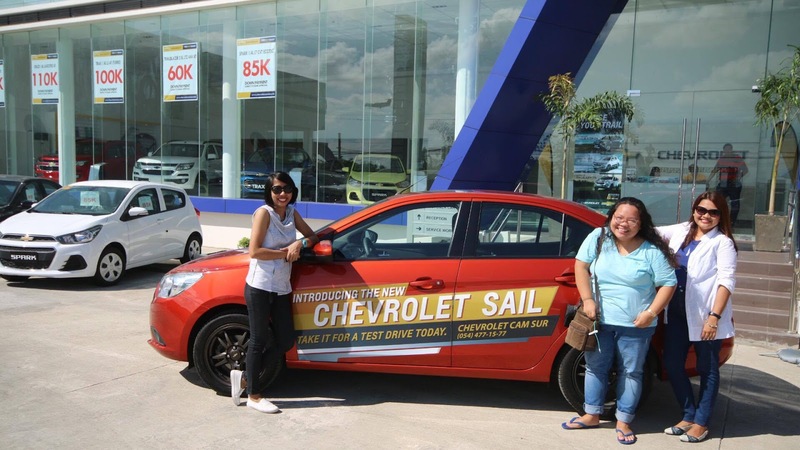 From the DOE fuel economy rating, the Sail got an average of 18.26 km / liter for highway driving. Again, fuel consumption depends on the driving habits. Fifth, she's got the looks! The orange paint job and the contrasting gunmental alloy on the wheels has definitely made the Sail look sporty and curvaceous at the same time. There are no fancy accessories like bumpers, or bulging fenders, nor huge grilles, but the body lines are very stylish. It also has a good looking front with sporty headlamps and foglights which are becoming a norm for all types of car nowadays. To be honest there's quite a noticeably body roll when driving over a bend or a corner, but hey it's a sedan so we really shouldn't expect much for it to be sporty. I'm used to a light steering wheel. A simple maneuvering back and forth actually felt a bit of a heavy drag when I was trying to park the Sail in front of the building. Perhaps I'm just not used to it. Took the Sail for quite a speed run over the Partido area, overall I noticed that steering becomes lighter as you pick up speed. Highway running is stable even when confronted with strong winds which will make you feel like your car is floating even in rugged roads. Black versions or black editions are now becoming an option for buyers. Gone are days for the usual stock in gray or simple silver wheels or accents. Almost every automaker is releasing their black editions or versions. What's nice are the safety features which are included in all the 3 variants. 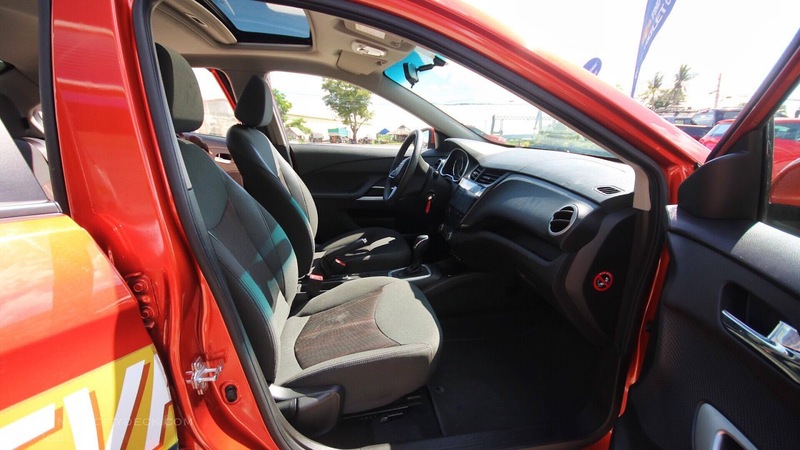 It includes 2 airbags in front with ABS (Anti-locking braking system) and EBD (Electronic Brakeforce Distribution). 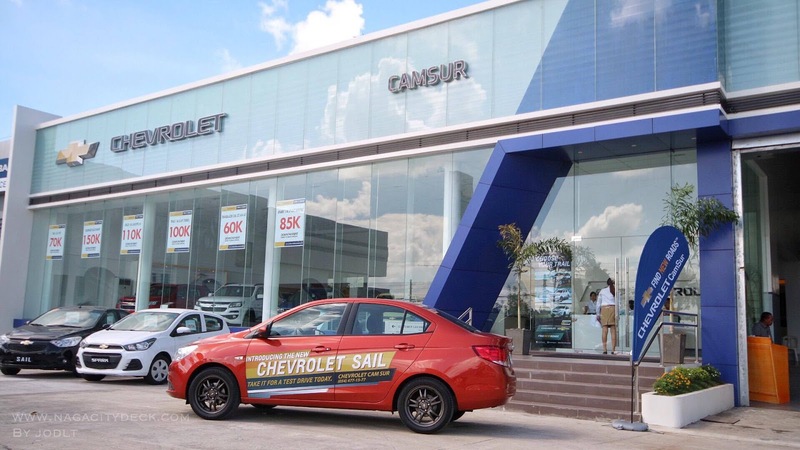 The Sail also has a speed sensitive door locks which means that if you forgot to lock your doors and when you pick up speed, it will automatically lock itself. There is an anti-theft alarm system, child lock, child restraint and seatbelt reminder too. 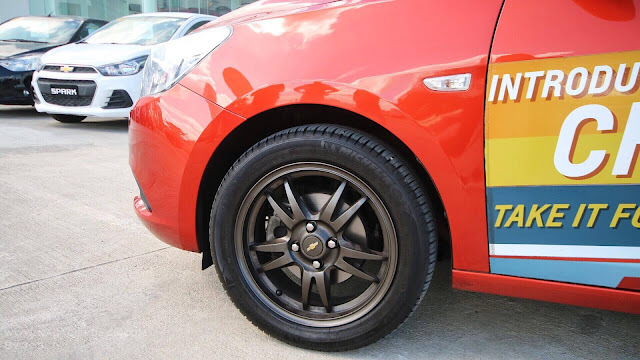 Aggressive 16-inch gunmental alloy wheels shod with high performance, low-profile tires for quick road reflexes. So there, is the Chevrolet Sail for you? 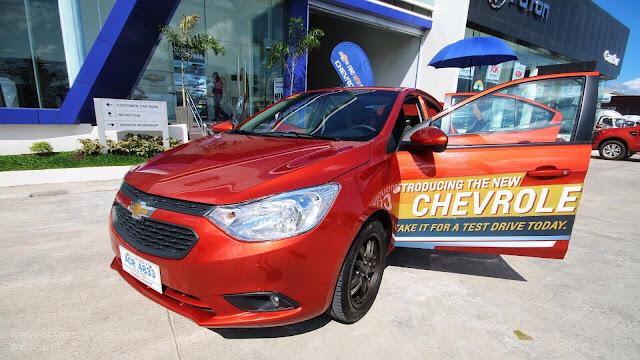 Book a test drive now! 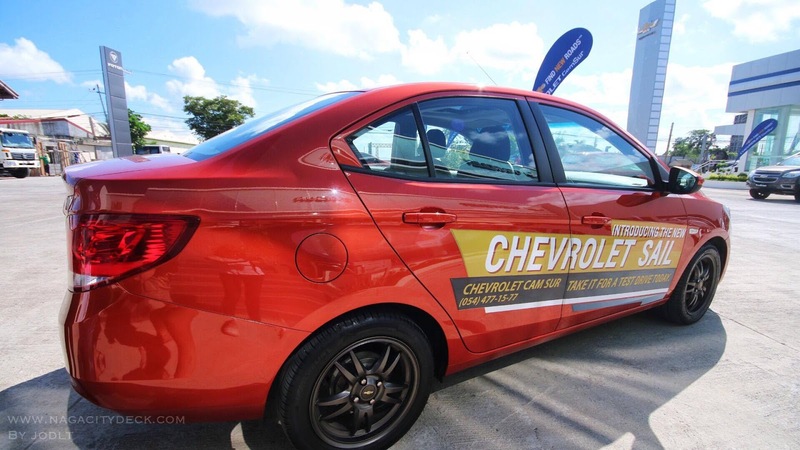 You have to get to know the car really well and to taking it on a test drive is a must! 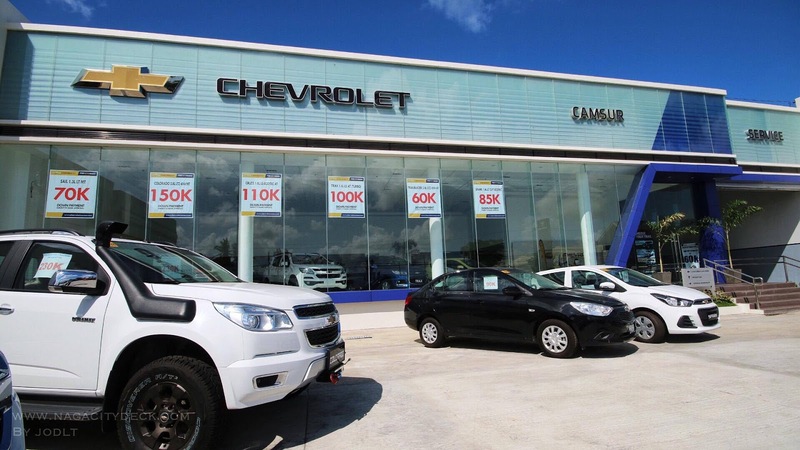 Visit Chevrolet CamSur at KM 449 National Highway, San Jose, Pili, Camarines Sur. What car do you want to see next? The Colorado, The Spark? or The Trailblazer? 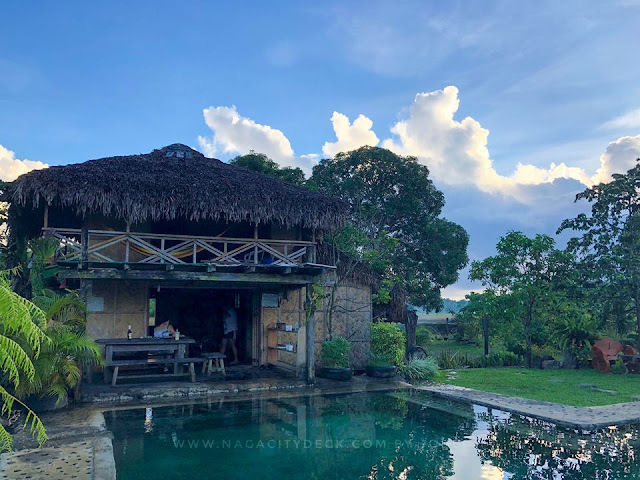 I'm drooling over the SUVs and I can't help but imagine taking it for a long drive especially this coming long weekend. 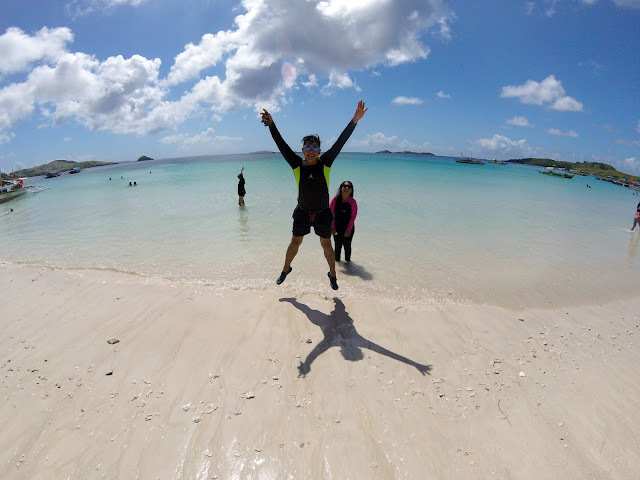 Until our next review!! !